Fair date with mom! 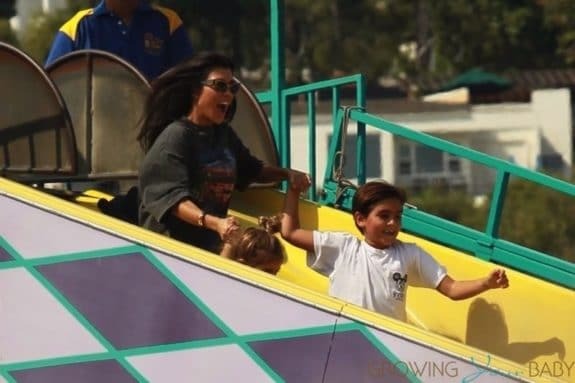 Kourtney Kardashian was photographed enjoying the day at the 36th Annual Malibu Kiwanis Chili Cook-Off with her two oldest kids Mason and Penelope on Saturday. The trio played games, had snow cones and had a blast on the rides. 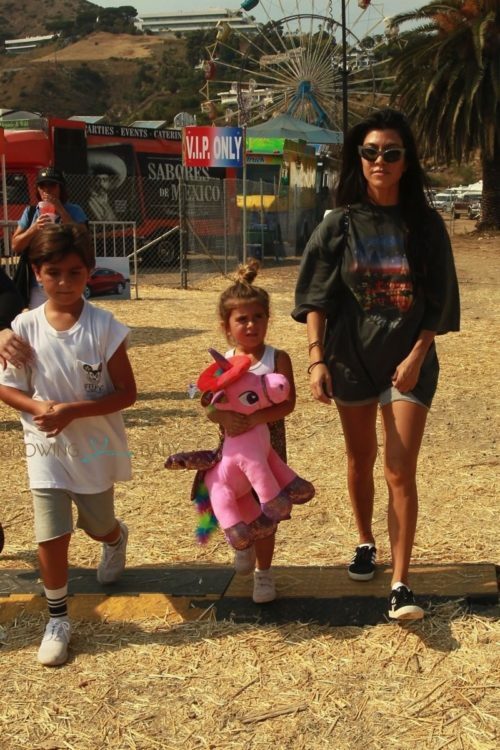 Penelope came out a winner as she toted a stuffed unicorn as they headed back to the car. Kourtney shared a photo on Instagram of the the kids getting the hang of how to win. Mason’s skills were on point as he was the one who reportedly snagged the toy! 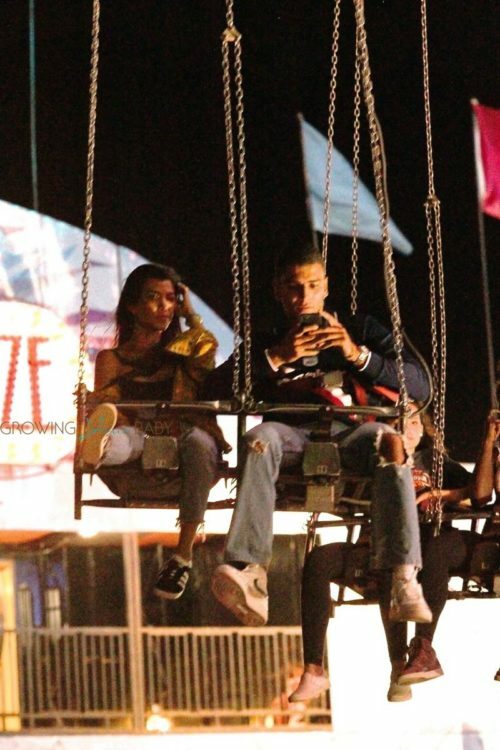 The night before, the reality star and her new beau Younes Bendjima enjoyed a date night at the fair where they were spotted spending some quality time together on the swings and playing some games. Kourtney walked away with an arm full of prizes so their quest appeared to be successful. Until recently, the couple’s relationship has been focused mostly overseas in France where they have been photographed vacationing on various yachts with friends. 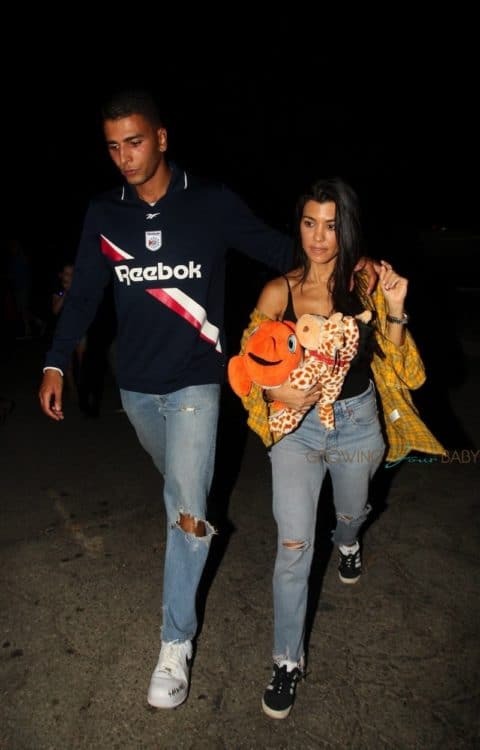 The model and former boxer has been quietly dating the mom of three since October but recently the pair have become more public with their romance. After a tumultuous 10 year relationship with her ex boyfriend Scott Disick we hope this will the be a good fresh start for her.